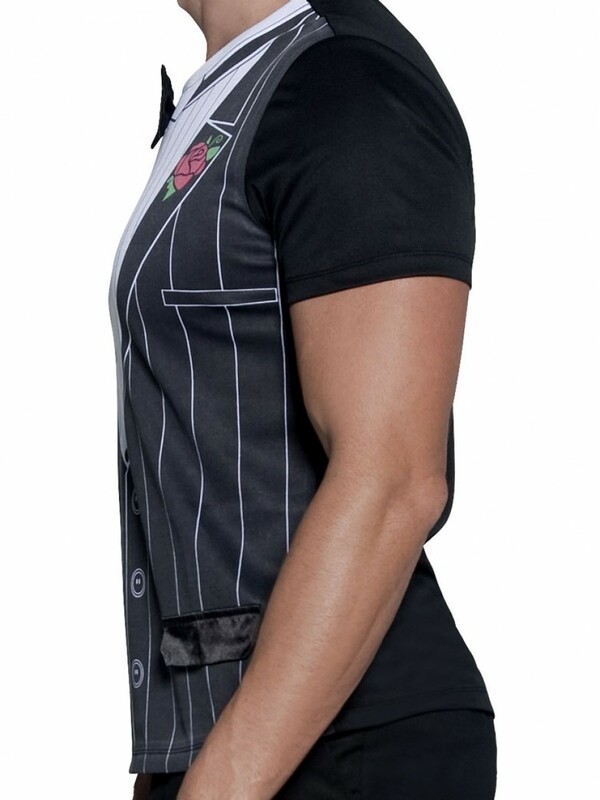 A modern and fun take on a classic Gangster – this T-Shirt with a mock suit design is ideal for any 1920s theme! 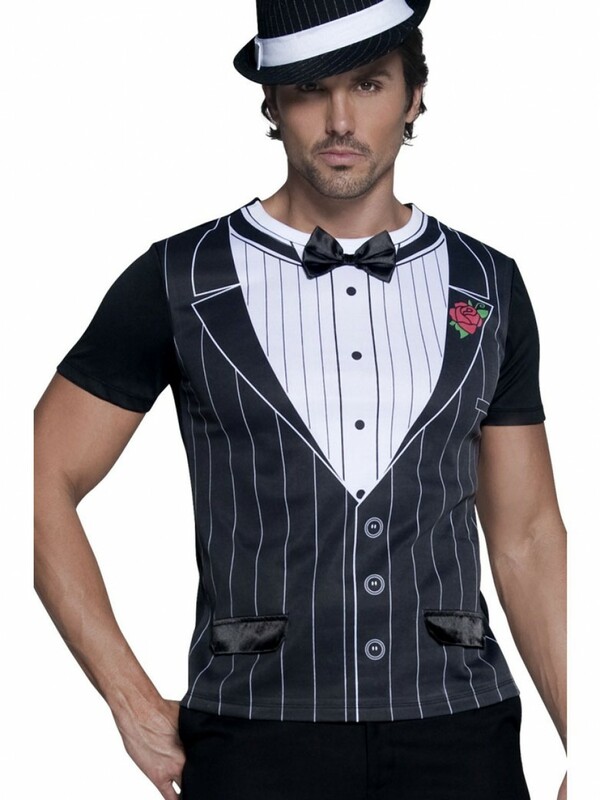 A stylish all-in-one Gangster Costume with a mock jacket, shirt and bow tie design for a great instant look! The collar also has a red rose on the lapel for a splash of colour. Simply add a pair of black trousers for a slick look that takes your straight into the Mafioso 20s! 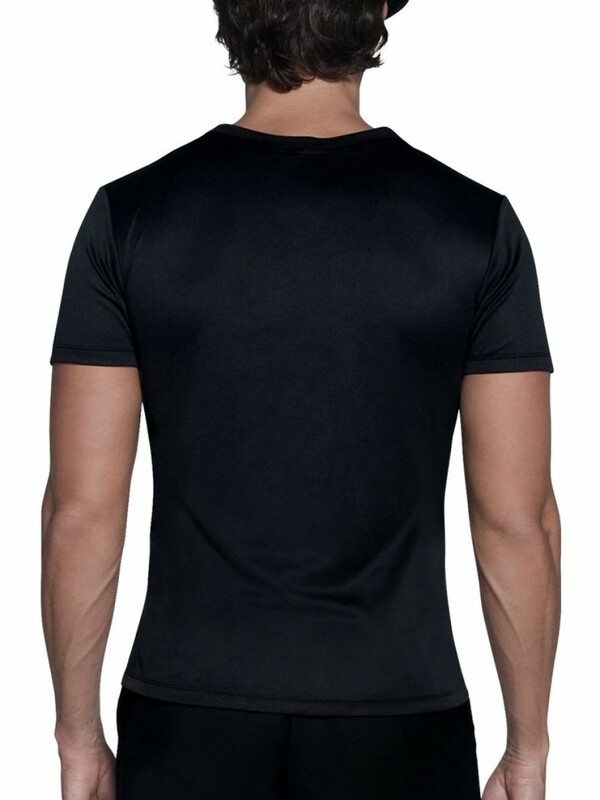 This top is great value and quality to provide an instant Gangster Costume! 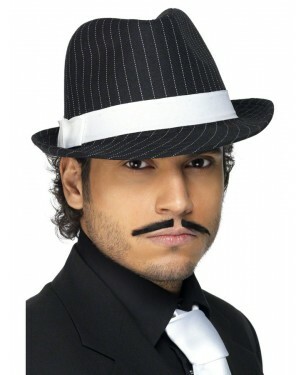 It is also a more comfortable alternative to a full suit, whilst keeping the sleek gangster style.